A free elementor template for a wedding website. 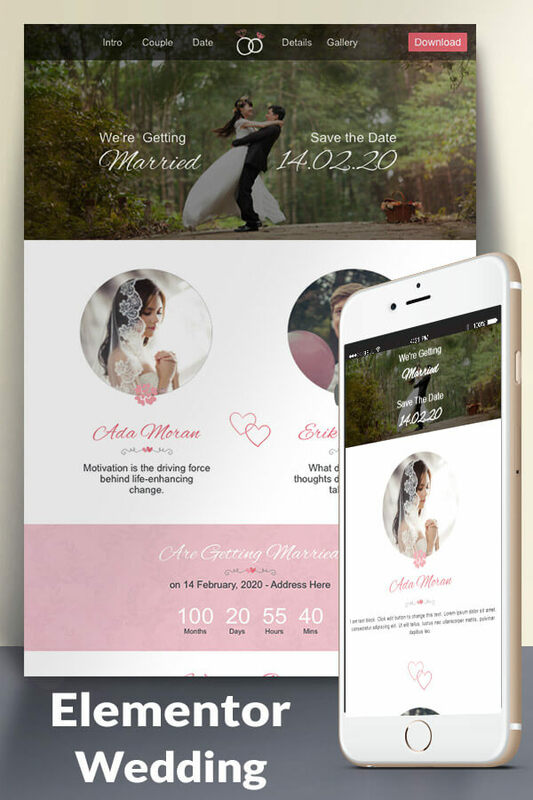 This template is carefully crafted with different useful sections needed for a wedding website, and more sections can easily be created as per your need. You will get a zip file, please extract it. You will get 1 file only. If you like this, have a look at my other available freebies and products here. This product is released with CC0 license and that means you can use it anyway you want. We will be happy trying to help solve problems, but there’s no support available for this theme.